We’re talking, serious, unconditional, I’ll drop anything to be with you, love. This is a slight issue in our house as Mr.MoreThanYourAverageMom doesn’t share the same breakfast love as I do. Luckily for me however, as the primary cook in this house, I make the rules! So when Momma wants breakfast, Momma gets breakfast! 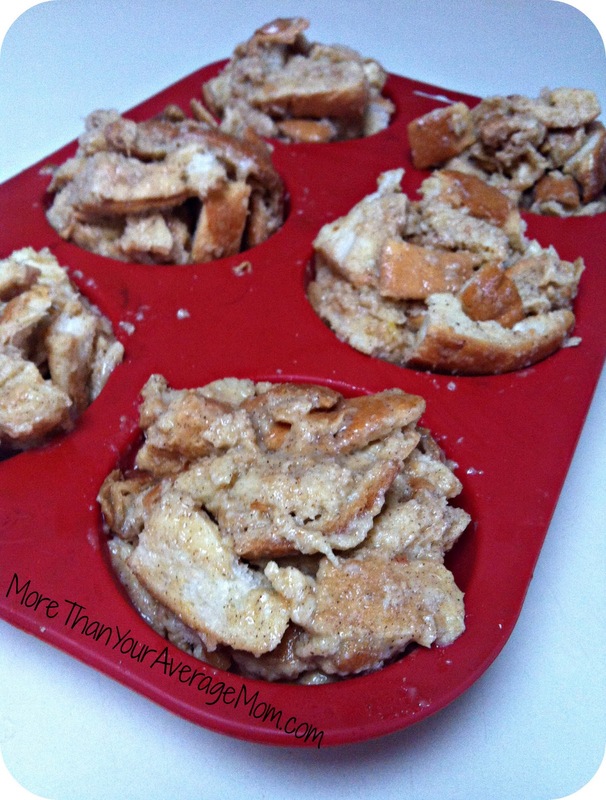 This recipe is essentially the same as my other Bento Bread Scrap French Toast Recipe, only this time I prepared it in my President’s Choice large silicone muffin pan. This is a great modification as not only are the mini french toast’s more esthetically pleasing, they are easier to freeze to enjoy later! Once all bread is coated in egg mixture, spoon into ungreased silicone muffin pan (if you’re not using silicone I’d recommend greasing as the bread will likely stick) until just overflowing. Bake for 15 minutes, or until tops are just beginning to brown. Serve while hot, topped with Chobani greek yogurt and fresh fruit compote! Mmmmmmm! note: Next time I make this I will add 1/3 cup of apple sauce to the ingredients as I found the french toast to be a touch on the dry side… I also lost track of time and overcooked slightly though so that probably added to the dryness. Looks delicious! 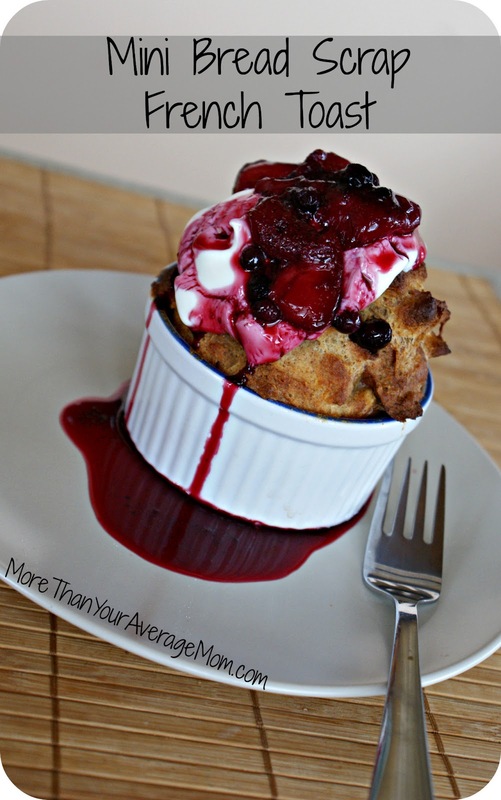 I love French toast, so I will have to try this out next weekend. I went to the sleepy panda restaurant yesterday and I had a french toast, the taste was really delicious. I will try to make it according to your recipe.